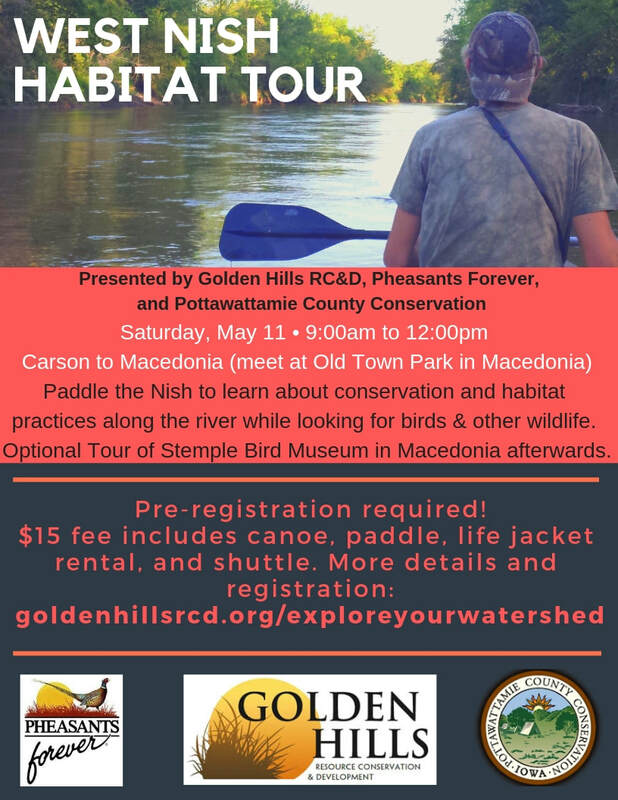 Paddle the Nish to learn about conservation and habitat practices along the river while looking for birds & other wildlife. Nic Salick with Pheasants Forever will lead the program. Optional Tour of Stemple Bird Museum in Macedonia afterwards. Hosted by Golden Hills RC&D, Pheasants Forever, Pottawattamie County Conservation, and East and West Nishnabotna Watershed Coalition. If you would like to attend and bring your own canoe or kayak, please email lance@goldenhillsrcd.org.